I try to not take a tour if it is possible to avoid it, today was one of those days when independent tourism was not possible. I arrived at the tour registration desk at seven in the morning, way too early for my taste, but that is the way of the tour. 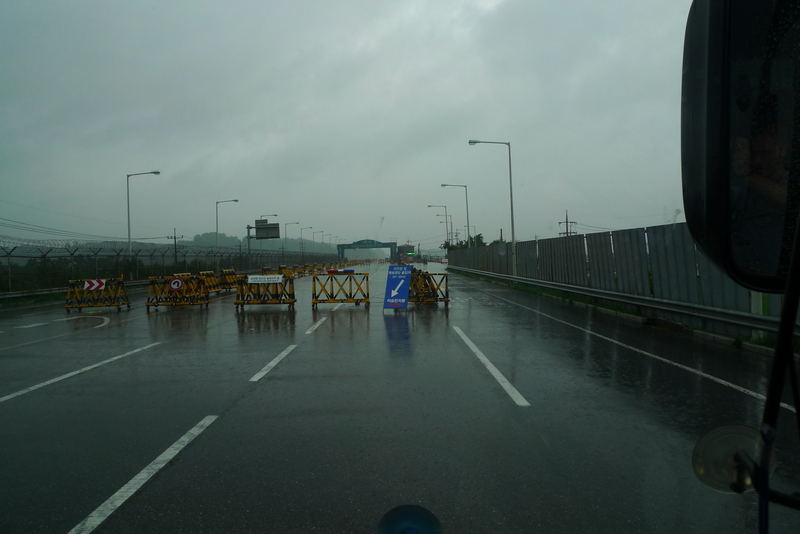 With a guide speaking nearly constantly during the hour-long drive north, she made it more than abundantly clear that we could only take photos when told it was OK. We arrived at a checkpoint on the unification bridge, just shy of the border with north Korea, and showed our passports to a stone faced Korean soldier in sunglasses. We then crossed the river into the military controlled area and the advanced base at camp Bonafis. Here an American soldier with a gun on his hip stepped on the bus, then checked our passports a second time before letting us off the bus into a building. 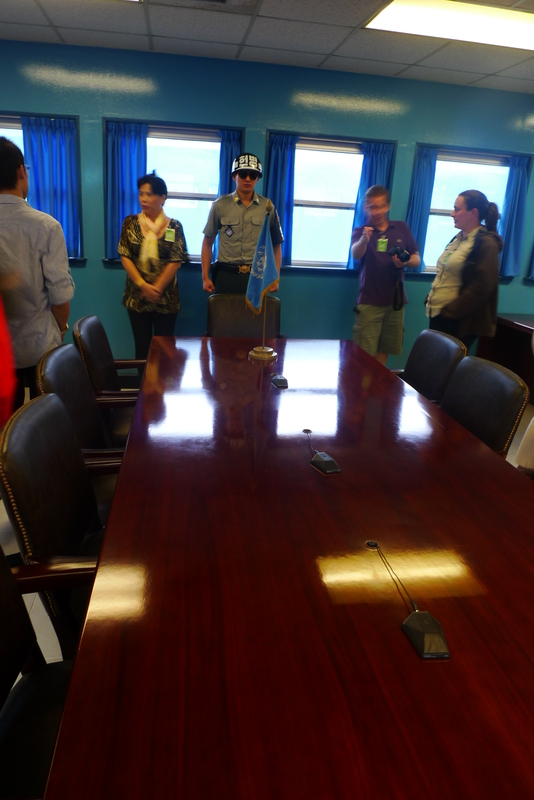 Here we got a briefing about the days main attraction, a visit to the Joint Security Area, a military facility right on the border with north Korea. We were also asked to sign a waiver, denying UN responsibility if we should be injured in an attack. 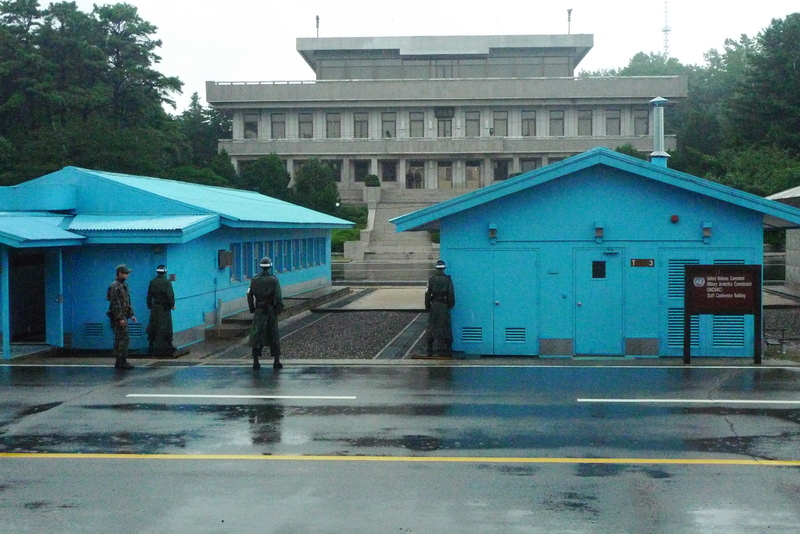 With the armed soldiers, passport checks and this waiver, the atmosphere was feeling tense. 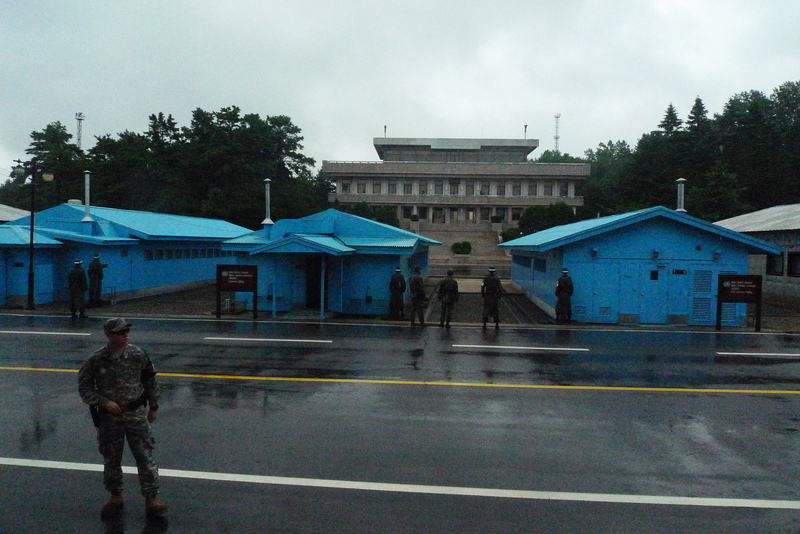 Our guard come guide, military police PFC Hindenburg lead us from the building onto a bus driven by another soldier, and we were taken through the Demilitarized zone, passed a number of guard posts and mine fields all the way up to the JSA. 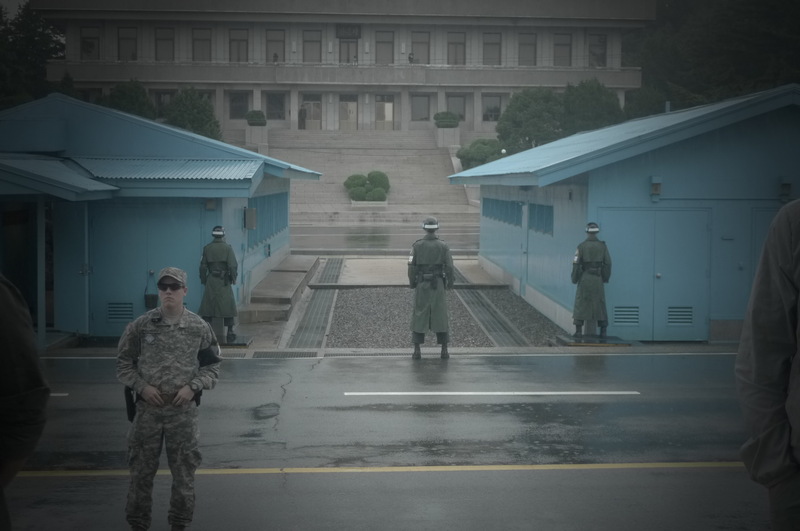 Here we could see fierce-looking South Korean solders with dark glasses, standing in martial arts poses, staring at the other side. 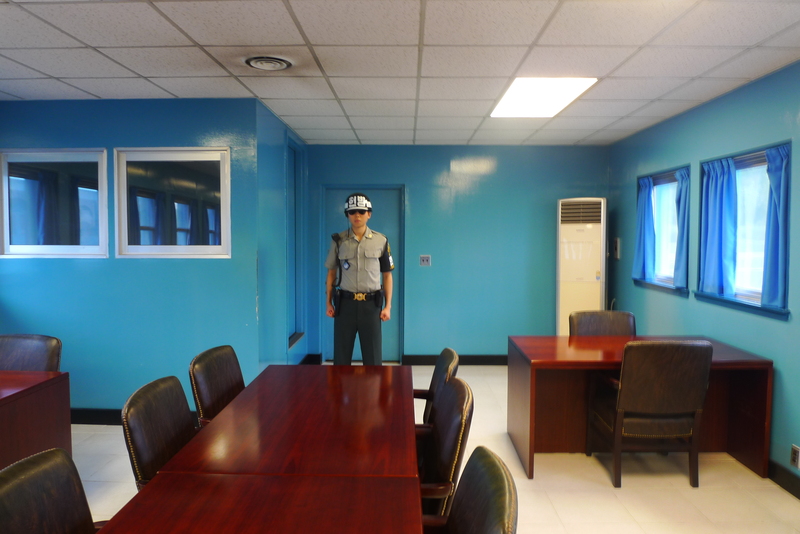 They even let us in to one of the buildings where they sometimes hold armistice talks, and walking around the central conference table, we crossed the Military Demarcation Line and actually took a few steps into north Korea. It is a special feeling to be this close to the border between two countries that are technically still at war, it is very tense and exciting at the same time. It is almost unreal, like it is all for show but you are still aware that the guns at the soldiers sides are very real, and considering the photography ban and lengths of barbed wire visible in the distance, you know they are taking security very seriously. The conference table, the microphones in the middle ark the border line. The visit over, PFC Hindenburg brought us back to our normal bus and we went on our way. 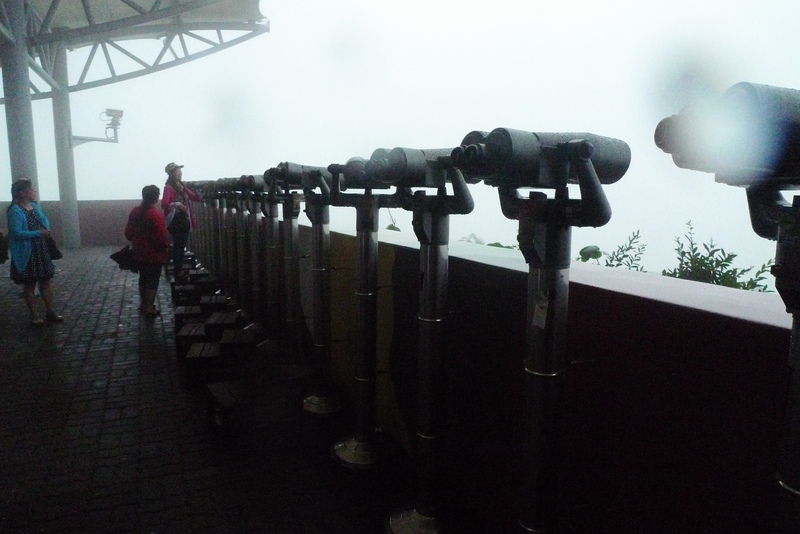 From here on, the tour was considerably less interesting, we made quick stops at a memorial park, a train station, an observatory and a tunnel. The tunnel had been intended as an infiltration route by the communists, which was interesting but the tunnel itself was rather boring. 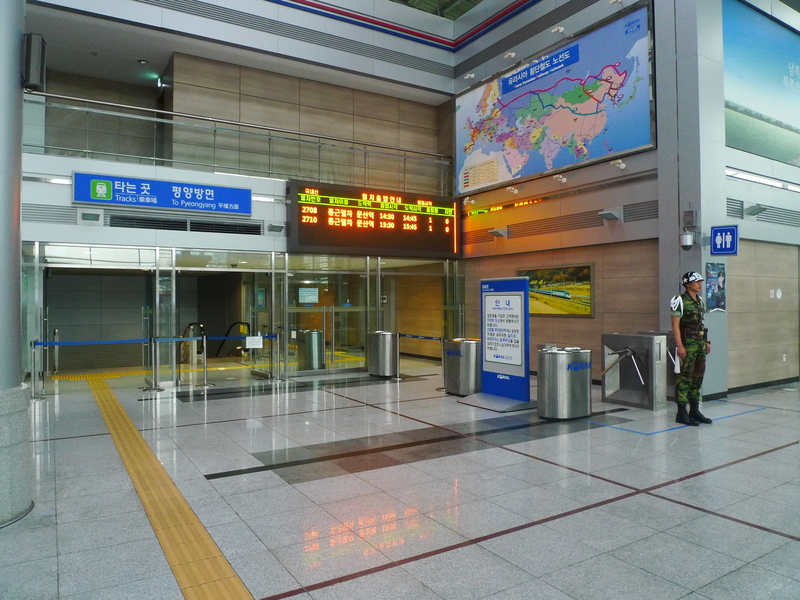 The train station was pretty thought provoking though, as it is the last stop on the south side for a train into the north, the railway has been connected all the way to Pyeongyang the only thing stopping the trains from rolling is the political situation; once th countries are unified, this will be an international train station, connecting Korea with the rest of Asia. 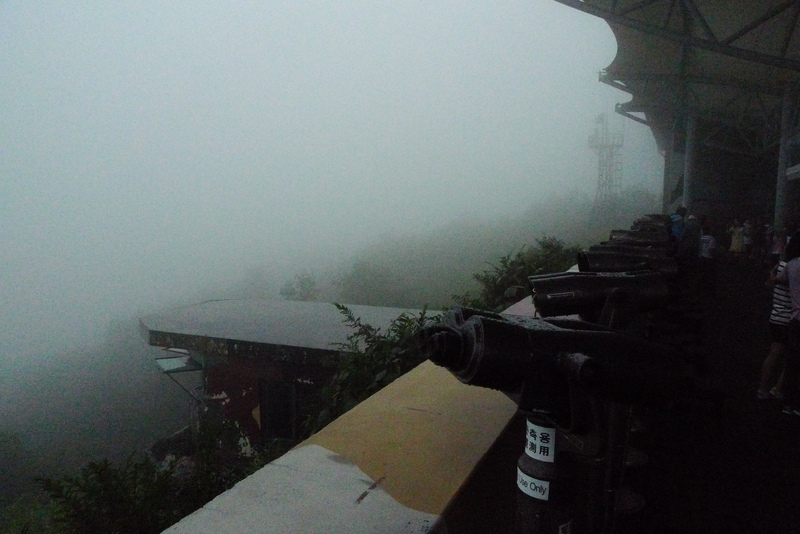 Dorasan observatory, on a clear day, this is where the South Koreans spy on the north. The weather throughout the day was overcast and rainy, but I do feel gloomy weather suits this kind of place better than sunshine. Other than the JSA visit, the rest of the tour was not so interesting, but worth checking out for anyone not in a hurry. 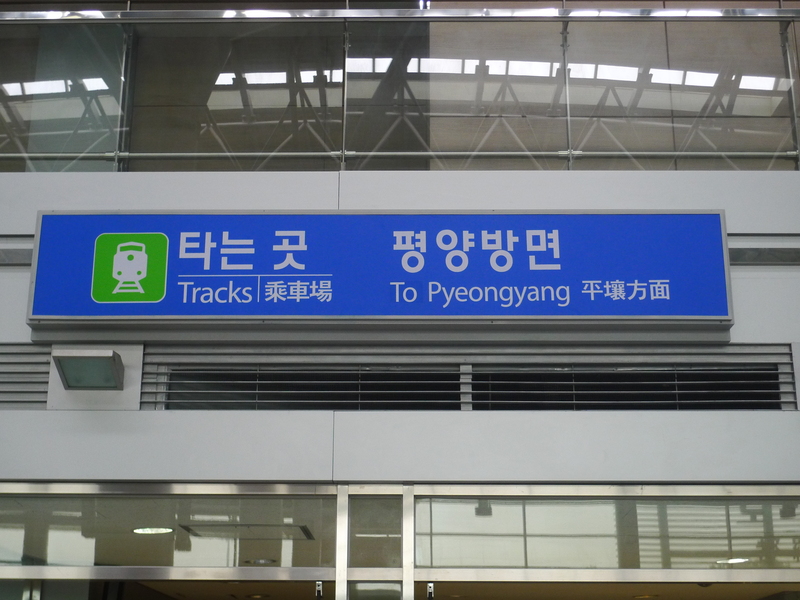 Jag delade just ditt juliarkiv till ett par kollegor som snart ska resa till Korea, och en av dem undrar vilken DMZ-tour du tog? Kan du rekommendera den (jo jag läste ovan men vet du några alternativ annars)? Det finns två bolag som har officiellt tillstånd från FN att ta turister till JSA, Panmunjom Travel Center och Tourdmz, övriga bolag samkör med dessa bolag för turer till JSA. Räcker det med kringliggande turistmål (tågstationen osv.) finns en hel uppsjö av bolag. Jag åkte med Tourdmz då Panmunjom Travel Center var fullbokat. Guidningen var varken bra eller dålig, mest en massa upprepning av (gissningsvis välidigt nödvändiga) säkerhetsregler på knacig engelska, inte särskilt nämnvärt inspirerande eller rolig, men inte för påträngande heller. Man fick mycket DMZ upplevelse till ett rimligt pris utan massa onödiga extra stopp och väntan. För att vara en person som inte gillar turer tycker jag ändå denna var bra. Bra grejer att komma ihåg oavsett bolag: Inga turer lördag söndag måndag. Boka i förtid, man kan även behöva skicka in en kopia på sitt pass. Planera för något mer uppstramad klädsel (inga sandaler, inga shorts/minikjolar, gärna skjorta).